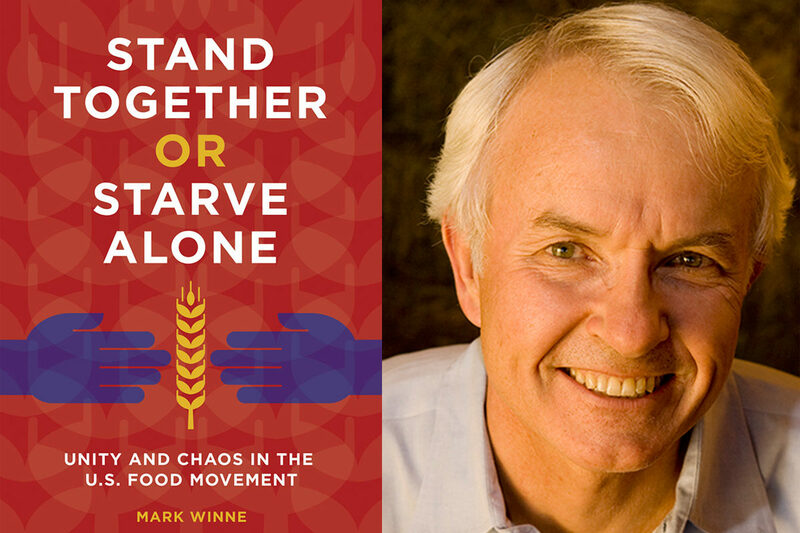 Veteran food security advocate Mark Winne’s new book argues that diverse groups should come together in combatting food system inequities. For the past four decades, Mark Winne has been involved in almost every conceivable effort to nudge the food system toward greater equity and sustainability, from working in 1970s hippie co-ops to training food policy councils around the nation. Winne served as executive director of the Hartford Food System in Connecticut for 24 years and co-founded of the national Community Food Security Coalition before taking on the role of senior advisor to the Food Policy Networks Project at Johns Hopkins University’s Center for a Livable Future and working as an independent food policy consultant. As his career winds down, Winne says the food movement is not gaining the achievements that it could be, based on the number of people it has attracted in recent years. “We’re punching below our weight class,” he says. Winne is not the first to voice this critique—food activist Chef Tom Colicchio has recently expressed a similar concern. But Winne has spent the last two years researching and writing about the causes of this collective underachievement and also identifying potential solutions. Among those solutions, which he details in his newly released book, Stand Together or Starve Alone, are focusing on the cause of problems rather than their symptoms—such as acknowledging poverty as the root cause of hunger—and harnessing the power of food policy councils to create change at the local level through greater collaboration. Stand Together questions why the people and organizations in the food movement don’t always play well together. And it raises a lot of questions: When do egos get in the way? Do funders incentivize collaboration? Is it even part of human nature to work together with people outside our groups, however we define them? 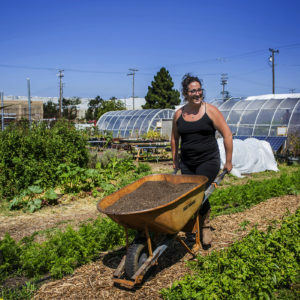 And what lessons should be learned from the work (and 2012 demise) of the Community Food Security Coalition (CFSC), an alliance of more than 300 organizations focused on building strong, sustainable local and regional food systems? I have worked with Winne in various roles at the CFSC, and we have been friends and colleagues since 1994. We sat down recently to discuss his new book and how people working on a range of issues across the food system can address today’s most pressing inequities. Why did you write Stand Together? I’ve been in the food movement for 47 years now. I’ve seen two things happening. One, the movement keeps growing and diversifying, and it becomes more of a force in everyday life. But at the same time, I’ve been underwhelmed, unimpressed, and discouraged by the lack of progress in looking at the major indicators of hunger, food insecurity, obesity, diabetes—even the sustainability of the food system itself. We haven’t spent enough time working together and finding ways to collaborate. A lot of the movement is also focused on improving access to healthy food, or environmental issues, or supporting local agriculture. What do you think about the impact it has had in those arenas? One of the areas where we have been hugely successful is the evolution of the so-called local food movement. It’s very widespread, and it’s quite remarkable. And there’s some evidence that it’s starting to have some impact on local economies. The St. Louis Federal Reserve recently put out a report showing that local food sales [in the U.S.] jumped from $400 million [in farmers’ direct-to-consumer sales] in 1992 to over $6 billion [in all forms of local-food sales] in 2016. You use the term “mobbing the issue.” As a parent, I can relate to the metaphor you use of a kids’ soccer team, like a giant 20-legged spider moving up and down the field chasing the ball. I see people getting very excited about the thing that they’re doing and they all jump on a single issue. They mob it. Trying to reduce food waste is the latest act of mobbing. This happened to us with farm-to-school. It’s just fascinating to me how we can take just one issue, which then becomes its own sub-movement, with its own national organization, with its own conference, books, leaders, and jargon. It’s fascinating in one sense and also discouraging in another [because the people who mob the issue don’t necessarily think of themselves as being on the same team as others in the food movement]. We tried successfully for a while to make the case with CFSC that anti-hunger, community gardening, and sustainable agriculture advocates were all part of one team through the concept of community food security. What do you think is holding this type of approach back? I conducted a survey that showed that 80 to 90 percent of people felt a need for more cooperation and collaboration. And at the same time, I observed all the ways that people don’t cooperate or don’t want to cooperate. Toward the end of my book, I write about anthropological studies that talk about the nature of human beings. You asked if it’s human nature to cooperate. The answer is “sort of.” We think about our interests, our mission, our organization, and we circle our wagons. It’s very hard to extend beyond that. It raises the question of the role of funders. You see more funders trying to find ways to support collaboration, but most are still looking for short-term gains. They are more interested in the goals than the process. Their boards, their measurements, and their evaluation structures are all driving them toward that. Is the food movement potentially cohesive enough, or are there differences that are going to divide us? Have we created too big of a tent? I think that we agree on more things than we disagree on. I don’t mean that I agree with Walmart. 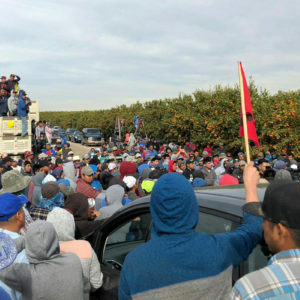 If anti-hunger and labor groups got together, and you asked them what do they really want, I have a hard time believing that the anti-hunger movement does not want fair wages for everyone. I think they probably believe that the minimum wage should be much higher, and that income inequality is a big problem in the U.S. But we always tend towards pragmatism, and the pragmatism would say it’s easier for me to work with [the] Walmart [Foundation] and get resources from them. Let’s talk a bit about food policy councils. They’re obviously a big part of the book and a big part of your life. Are they successful? That’s the $64,000 question—and if they each had $64,000, they would be a lot more successful. I can see many, many examples where they have secured some kind of policy gain at the local or state level. 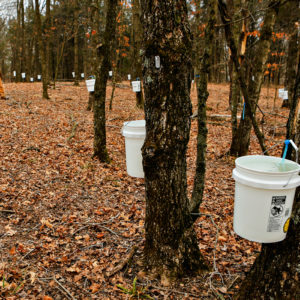 In Connecticut, we made a huge impact on farmland preservation and the viability of farming in the state through the Working Lands Alliance. And in New Mexico, in the 2018 legislative session, we secured $425,000 for farm-to-school. Look at the sheer number of ordinances and zoning ordinances that have been passed to support urban agriculture [thanks in part to the work of food policy councils]. It’s interesting to see that 20 to 25 cities have full-time food policy coordinators on staff. That doesn’t even account for cities that have a part-time person in the planning department. These are modest gains when you look at big policy actions that can take place in Washington. Cumulatively, however, they are significant. [But the councils] can definitely use some money; they are woefully underfunded everywhere I go, with a few exceptions. What is another example of successful collaboration? In my book, I wrote about the Farm and Food Policy Project (FFPP) from the 2008 Farm Bill, [a collaboration between the CFSC, National Sustainable Agriculture Coalition, American Farmland Trust, and Environmental Defense Fund]. The Kellogg Foundation was serious about literally forcing groups to cooperate with organizations they hadn’t worked with before. There was a lot of tension, and to their credit, Kellogg really invested in trying to support that collaboration. Given the state of our knowledge of how to create effective coalitions, Kellogg did a pretty exceptional job. Something like $5 billion worth of gains were secured through this process. From my perspective, the key to FFPP was that Northeast-Midwest Institute acted as a backbone group in a collective impact project and held us accountable to each other. Have you thought about how we bring together a cohesive force in the food movement? At the local level, I see the potential for it happening through food policy councils, because people know each other, and there is a lot of trust. But it is still too hard to imagine that anyone could create a CFSC-type model, where farm-to-school, labor, racial justice, food banks, and food chain workers could be under a single umbrella. I’d like to see a meeting of those groups. That would be really fascinating. Yeah, I’d like to see a congress, a convening—not 5,000 people, maybe 100 or 200 people. It would take a superman or superwoman facilitator and some serious money and commitment by a foundation to make it happen. But I think it would be worth the effort. Perhaps those people would be delegated by their communities to attend. I get excited thinking about that possibility. So do I. Even if nothing comes of it, I think it would be worth the effort. Is anyone dealing with the deadliest issue hanging over the food movement...carcinogen Glyphosate/Roundup - sprayed on GMO "food crops" that, unidentified, take up some 85% of grocery shelves, now being sprayed as a drying agent -dessicant- on what Monsanto identifies to be 250 FOOD CROPS (so they can dry and harvest them to market evenly though a field) - which does not wash off? 3) without fossil fuels there are plastics (BPA, etc) encasing most (food) products? How do we collaborate and unite ALL of these failed human-made systems to collectively remove charters for and bring legal charges and laws against these #PoisonForProfit industries that have destroyed many of Earth's systems? Isn't that an even more powerful collaboration? On Common Ground is a Nevada-based 501c3 org which has developed a comprehensive method for reducing both food waste and barriers to access for nutritious food at the community level through a collaboration with numerous government, nonprofit and university stakeholders. We would appreciate connecting with the author to discuss collaborative opportunities, or contact us to comment on the message with a boots-on-the-ground example of potential to address the root causes of food insecurity and food waste. I think it's going to be very difficult (but not impossible) for change to happen on a bigger scale in the U.S., mainly due to big businesses not having the people of this country in their best interest.